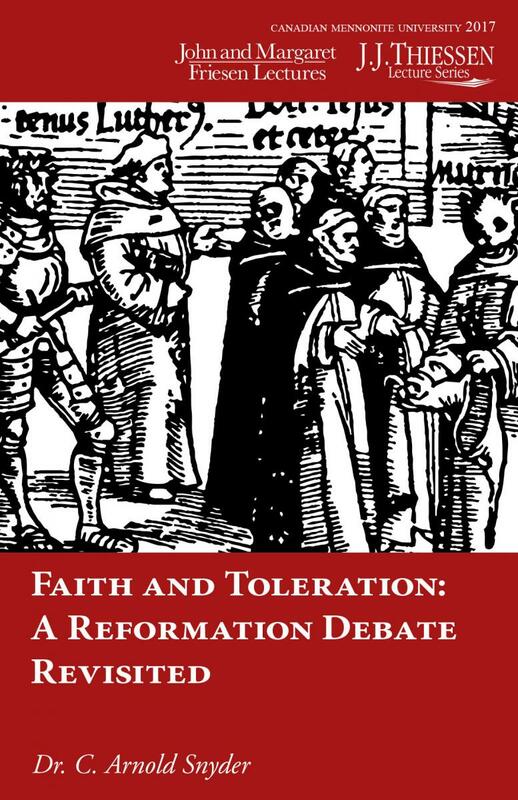 In these lectures, C. Arnold Snyder offers an important historical study on the subject of religious toleration in the period of the Reformation, breaking new ground based on his own careful reading of Lutheran and Swiss Anabaptist sources. Snyder sheds new light on the nature of Swiss Anabaptism in the latter half of the sixteenth century, demonstrating that by the end of the century, the Anabaptists of Switzerland were no longer running from "the world" but actively engaging those in power and courageously lobbying for religious toleration. This historical inquiry also provides an occasion for contemporary reflection on faith and toleration today, in the context of rising social, political, and religious tensions. "A rich blending of personal, church, and academic narratives and contexts... 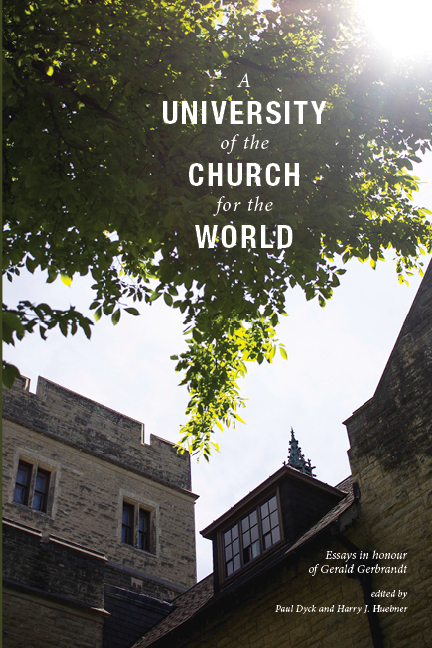 This interdisciplinary collection has the potential to become a pivotal resource for the next generation of Mennonite theologians, scholars, and pastors." An informative and thought-provoking resource from the world-renowned Canadian School of Peacebuilding (CSOP). Each chapter, authored by a different peace leader, explores three dimensions of peacebuilding: stories, tools and resources. A collection of dialogical essays around various topics pertaining to human nature and destiny from a theological perspective. The essays reflect the authors' ideas of how best to convey what they hold to be not only their personal beliefs, but also the beliefs of their communities, to an audience that is not expected to share these beliefs. Surprises abound as discussions reveal both astonishing similarities across denominational lines and differences in basic concepts where similarities were assumed. In this stimulating collection of essay, Zerbe offers "a revisiting of Paul's theological vision and practical activism around the theme of citizenship." Citizenship provides a wonderful introduction to social and political issues in the Pauline corpus. Zerbe explores Paul's thought with a clear and sharp eye, looking for what "citizenship" looks like for members of "Messiah's global politics." He succeeds brilliantly in "un-domesticating" Paul, only to reintroduce the prophetic envoy of the Messiah to those struggling to be loyal to Jesus within a world of power and violence. By organizing these essays around aspects of "citizenship," Zerbe provides the most nuanced and compelling description we have yet seen of the political dimensions of the apostle's thought and praxis. This welcome volume deserves the close attention of every interpreter of Paul. These three lectures by accomplished storyteller and theologian Belden Lane are inspirational in a way that lectures rarely are. 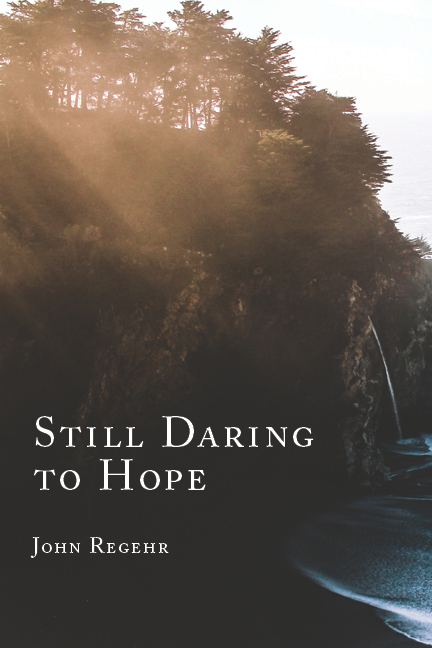 Lane urges us to think courageously about the place of wilderness in Christian life. He contemplates the radical lives of the fourth century Desert Fathers and Mothers, as well as the courageous example of sixteenth-century Anabaptists. He speaks of the ways in which wilderness can relate to the practice of a counter-cultural spirituality today. And he asks: Can desert and mountain gift us with a language to understand the experiences in our lives when we're taken to the edge, finding ourselves isolated and alone, both spiritually and culturally? These four lectures offer groundwork for a Mennonite-Jewish theological dialogue. One context for the dialogue is a sphere of overlapping interests among Jews and Mennonites who have returned to consider the power of Scripture at a time when both secularism and radical anti-secularism have lost their luster. Another context is the publication of John Howard Yoder's The Jewish-Christian Schism Revisited. Yet another context is an emerging effort among Jewish, Christian, and Muslim scholars to meet together in peace and through conversations about Scripture. A final context is the on-going loss of life, justice, and hope in Israel-Palestine. The Free Church and Israel's Covenant introduces Mennonite-Jewish theological dialogue as a contribution to the work of inter-Abrahamic peace, and scriptural truth. What hath the Radical Reformation to do with Anglo-Catholics—especially Anglicans who have a lingering penchant for Christendom? The answer from this book: a lot more than you might expect! Huebner and York have staged a mutually critical interaction between Radical Orthodoxy and Mennonite theology, illuminating both as a result. This book is a breath of fresh air. Retrieving central themes of classical theology, it is both faithful to tradition and innovative, offering a third way between liberalism and conservatism, one which sees theology as critical for public life without privatizing Christianity, on the one hand, or slipping into Constantinianism, on the other. Chris K. Huebner is Associate Professor of Theology and Philosophy at Canadian Mennonite University. He is the author of A Precarious Peace: Yoderian Explorations on Theology, Knowledge, and Identity (Herald Press, 2006) and co-editor, with Peter Dula, of The New Yoder (Wipf & Stock, 2010). Tripp York is an Instructor of Religious Studies at Western Kentucky University in Bowling Green, Kentucky. He is the author of The Purple Crown: The Politics of Martyrdom (Herald Press, 2007) and Living on Hope While Living in Babylon: The Christian Anarchists of the 20th Century (Wipf & Stock, 2009). How can the Believers Church family (made up of Baptists, Brethren, Churches of Christ, Churches of God, Mennonites, Pentecostals, and others) remain accountable to the Gospel amidst competing forces of globalization and localization? These essays engage Believers Church theology with topics such as denominationalism, the sacramental tradition, the Emerging Church movement, and Global Christianity. In a spirit of critical dialogue, this volume revisits debates over the relationship between church and world, inpidual and community, and practices related to the church's mission. The volume is worth attentive—dare I say contemplative—reading by any who are concerned with the philosophy and theology of Christian education....[T]his set of lectures offers plenty to whet the studious intellectual appetite. Old Testament scholars, theologians from other disciplines and colleagues of Janzen at Canadian Mennonite Bible College contributed to this volume. A sub-theme explores the use of the Old Testament in Mennonite school and church. In the 2000 Lectures the Professor of Old Testament at Union Theological Seminary in Richmond, Virginia, develops the use of metaphorical imagination in the interpretation of the Psalms. The 1999 Lectures, by the author of volume 3 of the Mennonites in Canada series, explore the increasing Canadian Mennonite involvement in elected governmental positions across the entire political spectrum. Regehr examines ways in which the participants' theology impacts how they became involved. The 1997 Lectures by Professor Hays of Duke University pinity School presents the substance of several chapters of his The Moral Vision of the New Testament. Essays presented at the Consultation on Higher Education, Winnipeg, June 1997. Presenters include Nancy Murphy, Gerald Gerbrandt, J.Denny Weaver, Ted Koontz, Dale Schrag, Tom Yoder Neufeld, Shirley Showalter, Shirley Sprinjger King. A selection of sermons preached over a period of time and a range of occasions by a pastor, former college president and homiletics professor who has spent a lifetime giving attention to both form and content of his sermons. Harry Huebner & David Schroeder. Church as Parable: Whatever Happened to Ethics? A look at the way the church has responded to issues of morality and ethics. The authors offer a critique and build a case for an ethical approach based on scripture and the centrality of God and Jesus Christ. Twelve essays by prominent academics and church leaders on themes that inform the life and work of teacher, theologian and churchman, David Schroeder.